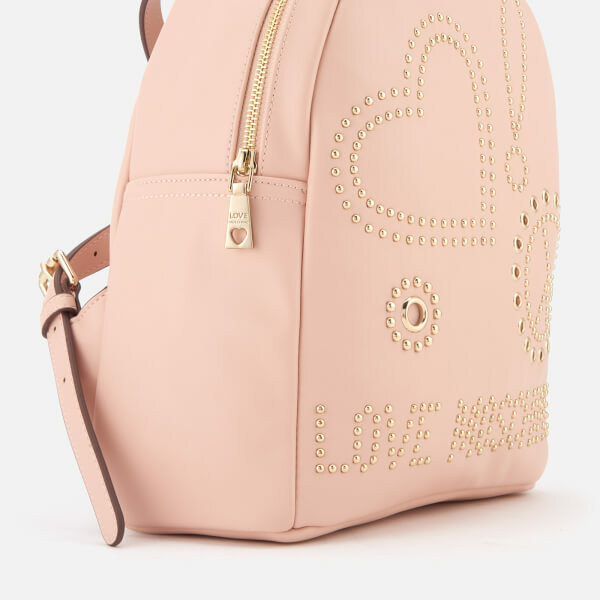 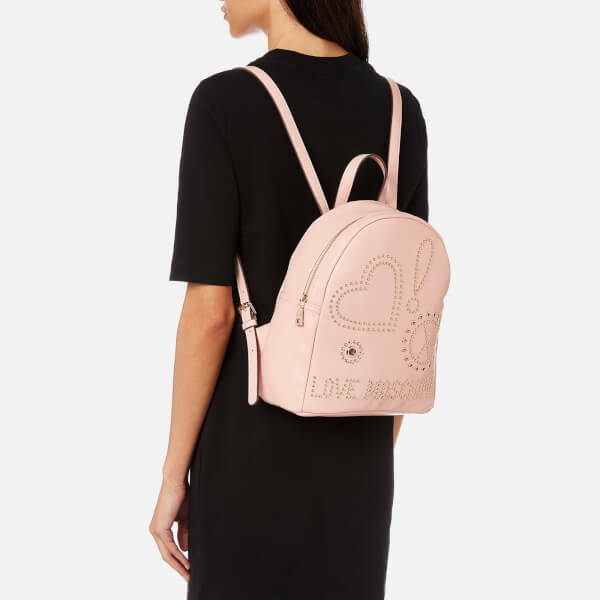 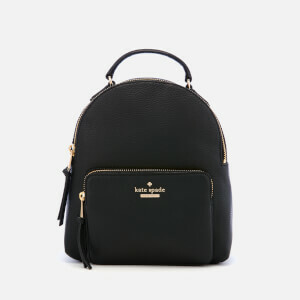 Women’s ‘Studded Logo’ backpack by Love Moschino. 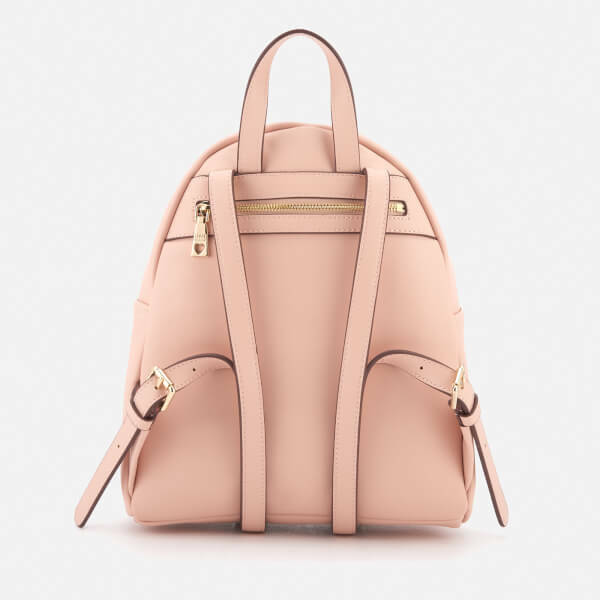 Crafted from smooth faux leather, the rucksack comprises two adjustable shoulder straps with buckle fastenings and a zip-around closure that opens to reveal a spacious, lined main compartment with a zipped pocket and interior card slot. 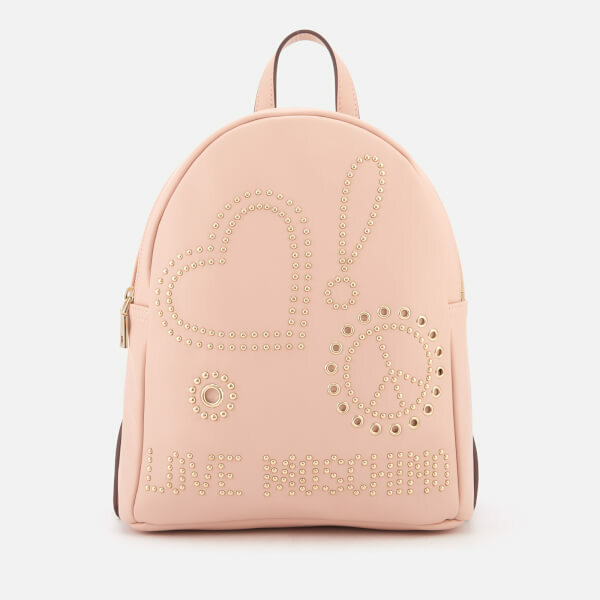 The front features metal stud embellishments arranged in the shape of a heart, peace sign and ‘Love Moschino’ branding. 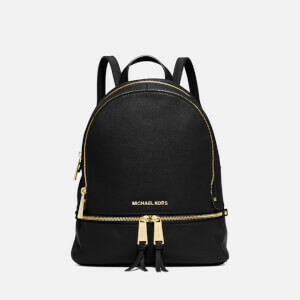 Finished with a top grab handle, zipped pocket to the reverse and gold-tone hardware throughout.